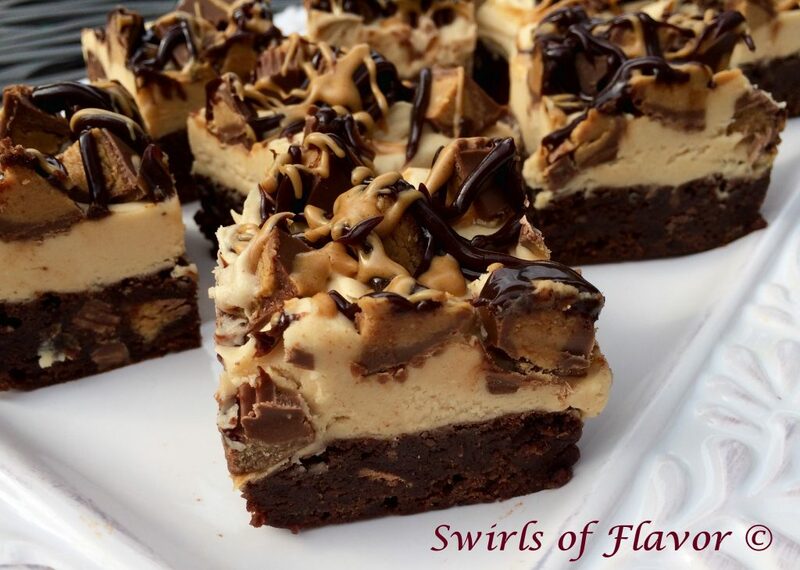 If you love brownies and you love peanut butter and you love chocolate peanut butter cup candy then hold on to your seat because these brownies are going to blow you away! Rich chocolate brownies studded with chunks of peanut butter cup candy are baked to perfection and topped with a creamy peanut butter buttercream frosting. Then top that buttercream frosting with more chunks of peanut butter cup candy and then drizzle with hot fudge topping and peanut butter! Peanut Butter Cup Brownies are the perfect dessert for all your celebrations!